Venice began when an early pioneer, Richard Roberts established a homestead in the 1870's near Roberts Bay and the beach. He planted an orange grove and a few other crops. The area supported a few citrus operations, along with boat building and fishing until the turn of the century. 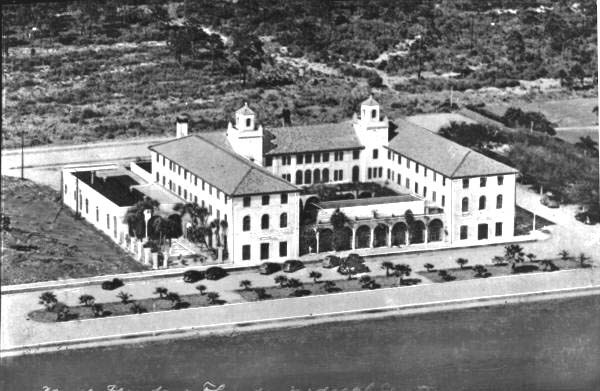 Things were pretty quiet until the railroad came to Sarasota County in 1911, and development followed in the path of the rails. 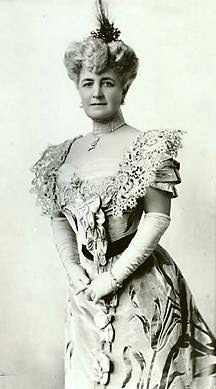 Bertha Honore' Palmer, the widow of Chicago millionaire Potter Palmer, bought 60,000 acres in Sarasota County. Her land development operation platted an area south of Robert's Bay and called it Venice. Mrs. Palmer was a talented businesswoman and manager, and her arrival signaled the beginning of an new era. The rails were extended to the new village. The new little town began to grow slowly, but it remained a small citrus and fishing community until the 1920s Florida land boom. In 1925, Dr. Fred H. Albee, a prosperous orthopedic surgeon, purchased 2,916 acres of land from Mrs. Palmer. He hired John Nolan, a city planner, to design a city on his land. Dr. Albee's dream was to cure sick patients using the magic power of sunshine. It's obvious Dr. Albee was not a dermatologist. Before he started on his plan, however, he sold the land to theBrotherhood of Locomotive Engineers, a labor union. The union organized BLE Realty Corporation to develop the property. The main feature of the development plan was Venice Avenue, a 200 foot wide boulevard terminating at the Gulf of Mexico beach. Construction got underway and the town began to emerge from the palmettos and sand dunes. The Hotel Venice opened in 1926. It had 100 rooms with private baths, and was magnificent for its time. 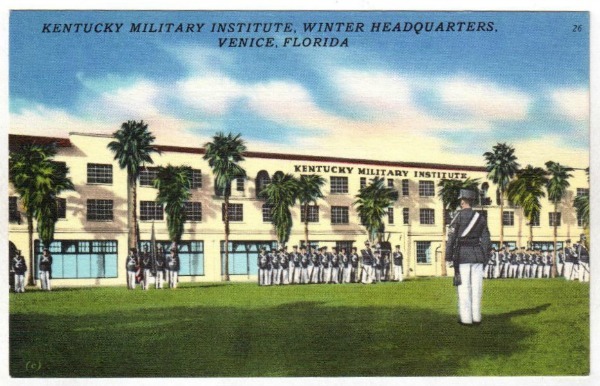 The Hotel Venice morphed over the years into the Park View Hotel, the winter quarters of the Kentucky Military Institute, the Gulf Breeze Hotel, and others. The building still stands at 200 Nassau Street in the heart of downtown and serves as an assisted living facility. Venice was one of the first places in the state that had strict zoning regulations and design review requirements. All buildings had to be constructed in the Northern Italian Renaissance style. Roof lines and tiles, awnings, building colors, relationships to adjacent buildings and setbacks were all carefully regulated. The result is the friendly ambiance of today's downtown Venice. The great depression devastated Venice, and the economic fallout from the great Miami hurricanes of 1926 and 1928 finished the job. Venice languished in a severe depression until World War Two. The Venice Army Air Base was built on land south of town during the war, and brought jobs and economic activity to the area. The City of Venice obtained the air base after the war, and it is still in use today as a general aviation airport. The Ringling Brothers Barnum and Baily circus moved their winter quarters to Venice in 1960. It was a popular free attraction for many years, with retirees enjoying watching the animals and circus acts. Venice today is still a pedestrian friendly little town that has it all. Good shopping, restaurants, art, boating, beaches and walking. 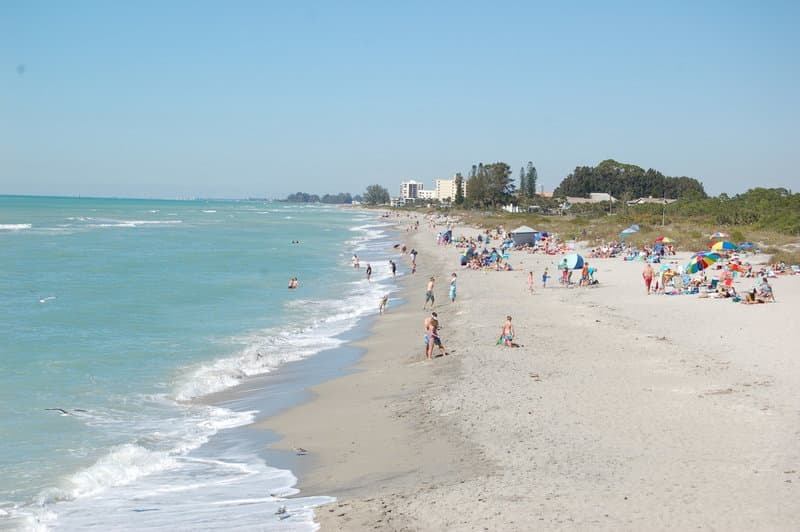 It also has some of the best beaches in Florida, and is known as the "Shark Tooth Capital Of The World". Needless to say, you can find a few of these teeth along the beach. Don't be alarmed. These are from sharks that died hundreds of thousands of years ago. 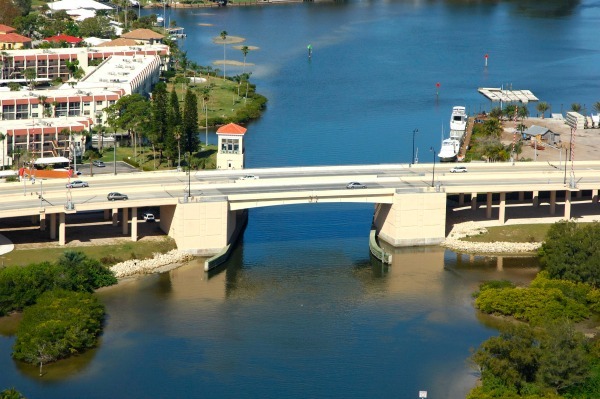 The main thoroughfare of Venice is US-41, the Tamiami Trail, that runs generally north and south through town on its way from Tampa to Miami. The heart of the town, however, lies along West Venice Avenue and the surrounding historic district. This broad boulevard is lined with charming sidewalk cafes and unique boutiques. It is a shopper's paradise. Several great antique shops are located on "Antique Row" along Miami Avenue one block south of Venice Avenue. The town also has its own live theater and symphony orchestra. 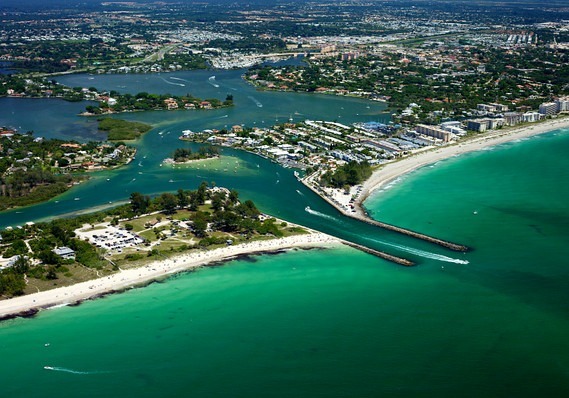 Head north from Venice to Nokomis and drive out to Casey Key. Go north along the Gulf. The narrow road is shaded under canopies of tropical trees, and the blue water of the Gulf glistens over your left shoulder. This drive will take you north for several miles to Blackburn Point Road where you will return to the mainland at Osprey. Leave your windows open and enjoy the sea breeze. Floridaloha Vacations. These unique cottages are near everything in Venice and are all decorated in an Old Florida theme. You can select from one of three cottages. 202 E. Pocono Trail, Nokomis, Florida 34275. Tel: 941-375-4499. Venice Beach Villas. Efficiencies, studios, and one or two bedroom units for the family. Nice clean facility near family beaches. 501 W. Venice Avenue, Venice Florida. Tel: 941-488-1580. Horse and Chaise Inn, 317 Ponce de Leon, Venice Florida 34285. Tel: 941-488-2702. This bed and breakfast is in the heart of historic old downtown. Nice, comfortable and clean with friendly hosts who are longtime residents. Venice Theatre. Since 1998, Venice Theatre has received more awards than any other community theatre in Florida and in the Southeastern United States. 140 West Tampa Avenue, Venice. Tel: 941-488-1115. Venice Art Center. The oldest and largest community art center on Florida's Southwest coast. Art classes, workshops, summer camps, and ongoing exhibits. Open from 9am to 4pm daily. 390 S. Nokomis Avenue, Venice. Tel: 941-485-7136. Shelling On The Beaches. If my grandmother were still alive she would want me to tell you that the best thing to do in Venice is go to the beach. Sift through the beach sand for beautiful shells and shark teeth. She liked the beach on Casey Key the best of all. 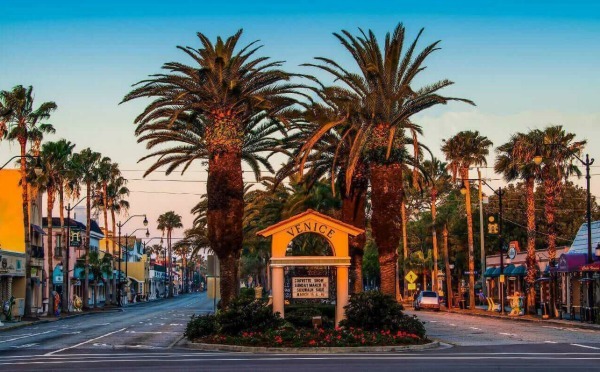 Cafe Venice is located in downtown Venice, Florida, and has been a favorite for tourists and locals for many years. The restaurant offers both inside and outside dining, and has a great wine selection and full service bar as well. It is not your typical casual tourist place. The white linen tablecloths give a formal touch to the tropical environment. The outside dining is very popular during the winter months. This is not the kind of place I would feel comfortable wearing a tee shirt, shorts, and flip flops. A nice pair of slacks with a polo shirt would be acceptable. Kay Ann Kropac is the owner. Her career began in Ohio at her family's restaurant, and after moving to Florida and working for Cafe Venice, she finally bought it. The menu is extensive. The focus is on American style food, and Cafe Venice is open both for lunch and dinner. Their lunches feature many soup and salad combinations including my favorite, Mediterranean Salad. The variety of soups include tomato basil bisque, spicy Thai seafood soup. All lunch and dinner items can also be complemented with a large variety of appetizers such as pork potstickers, spice chicken rolls, and their famous fried spinach. The dinner menu also includes many varieties of tapas such as escargot, eggplant frites, and crab stuffed shrimp. 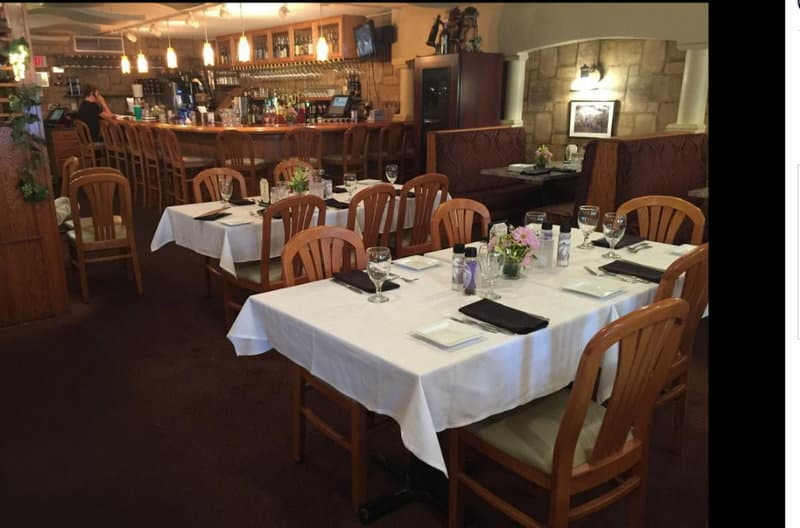 Entrees include something for everyone with such items as fresh Atlantic salmon, pan seared grouper, panko crusted chicken, filet mignon, crispy duck, and a special pasta of the day. Needless to say, these entrees and be complemented with the appetizers, salads, and desserts that adorn the menu. Cafe' Venice is open Monday through Saturday from 11:30 am to 9:00 pm, and on Sunday from 4:30 pm to 9:00 pm. Reservations are a must in the winter season; in the summer, not so much. Venice is a bit less than 25 miles south of Sarasota and is just west of I-75. There are two exits into the Venice area. Exit 195, Laurel Road will take you into the north side of town. Exit 193, Jacaranda Boulevard, takes you into downtown Venice.